This is my biggest sale to date. You don't want to miss this. 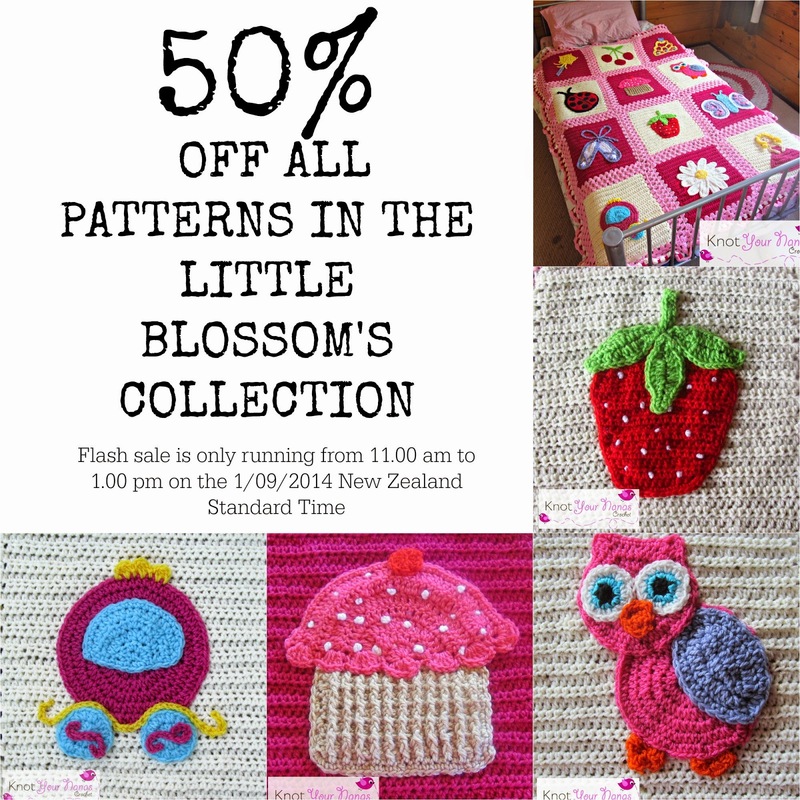 For the next 2 hours you can get all the patterns from the Little Blossom's Blanket collection for just $10 US. That's a total of 12 patterns for just $10. You can also get 50% off the individual patterns. This is a massive saving. The sale only runs from 11.00 AM to 1.00 PM on the 1/09/2014. This is New Zealand Standard Time. Make sure to use the coupon code: 50%LBB to receive the discount before checking out. Disclaimer: Due to this being a digital purchase no refund will be given if you forget to use the code or purchase after the code has expired. This sale/coupon only applies to the patterns in the Little Blossom's Collection and cannot be used on other patterns in my store.